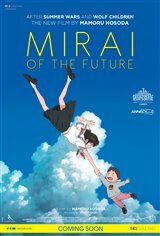 Kun, a little boy, enjoys a happy childhood until the arrival of his baby sister, Mirai. As the new baby becomes the center of his parents' attention, he becomes increasingly jealous. Little by little, he withdraws into himself. In the backyard where he likes to take refuge, grows a magical family tree. 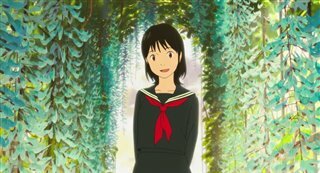 Kun finds himself suddenly catapulted into a fantastic world where the past and the present mingle. One after another, he meets his relatives at different ages: his mother, as a little girl; his great-grandfather, as an energetic young man; and his little sister, as a teenager. Through these adventures, Kun is able to discover his own story.